For the last two months, the price of AUDNZD has been moving slowly south. Along the way, several important levels were broken through, including the support from the daily chart at 1.0370, which on Tuesday was confirmed as a new resistance for the pair. Currently, there is a return to declines, soon there may be a break down from the Kumo cloud, which will be a signal to open a short. 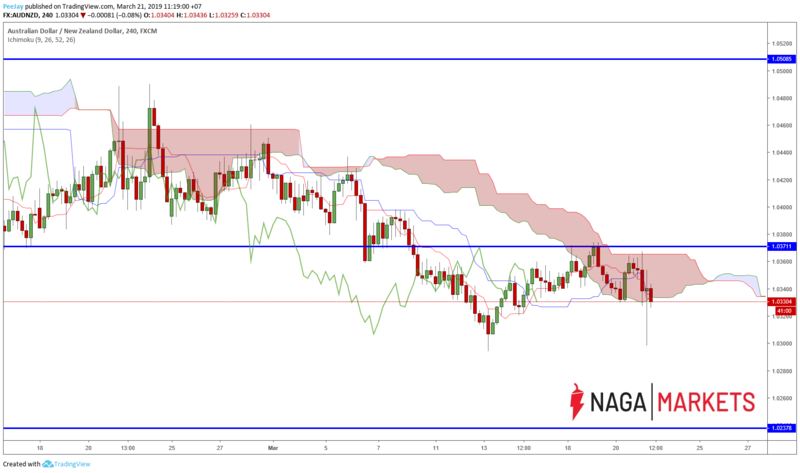 Please note that AUDNZD this week ignored both the cloud border and the Kijun-sen line, so they may not be a good resistance for bulls. Ideally it would be to set the stop loss over resistance, but then it will be difficult to achieve a minimum profit/risk ratio. The target for the position is on support at 1.0240, with less than 100 pips to earn, so the SL would have to be narrow enough.